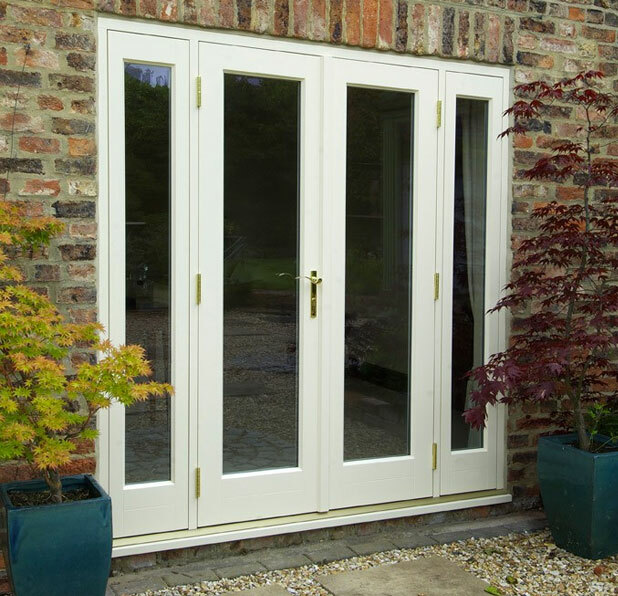 Within our collection of solid wooden French, Bifolding and Patio doors you will find a solution that fits with the way you live and the home you live in. All of our doors incorporate the same advanced insulation technology and offer fully integrated locking systems and draught proofing. Engineered timber eliminates twisting and swelling so that your doors continue to work smoothly for many years to come. 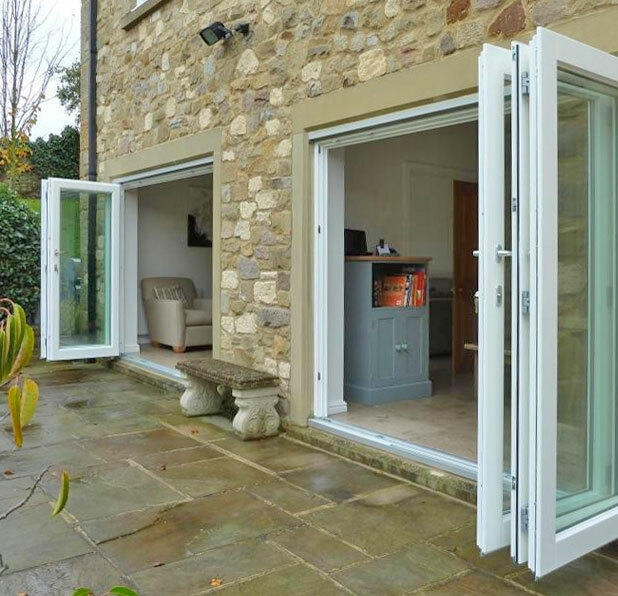 Our double-glazed timber bifolding doors are the only style to choose if you’re looking to break down the barriers between home and garden and open your entire living space up to the outside. Perfect for entertaining on those warm summer days when the sun is shining and the drinks are flowing. Enjoy the versatility and control over your home and conservatory with a bifolding partition allowing you to maximise on the space when you need it, a flush floor track option frees the floor for a sweeping, unobstructed walkway. Not only practical, these stylish folding doors are rife with high specifications and boast a 1.1 W/m2K U-value, achieved through the use of argon gas filled double-glazed units featuring energy saving glass and warm edge spacer bars. Bi-fold doors are also attractive and available in any of the RAL colours for complete coordination with your existing colour scheme. French doors have been around for hundreds of years and are the most traditional in appearance. They can be seen installed in every era and style of property from stately homes through to modern townhouses due to their adaptability and pleasing looks. Doors can open in or out and can be integrated into larger frames with sidelights. Attention to detail in the design of proportion, sizes and forms of the profiles ensures our French Casement Double-Glazed Doors look entirely original, whilst providing modern standard of comfort, security and longevity in use. Timber sections that resist warping and twisting, high security locking systems with robust proprietary hinges and high performance paint coatings that provide a long life of low maintenance. Tip* Adding raised and field panels to the lower quarter of the doors will give a more traditional aesthetic. They were all the rage in the 70’s and 80’s but demand for patio doors dwindled as people became more security conscious. 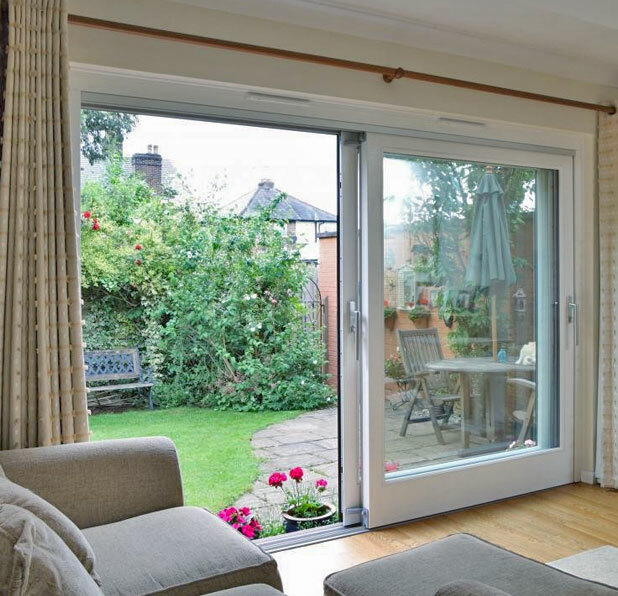 Modern sliding doors are starting to become hugely more desirable and fashionable. 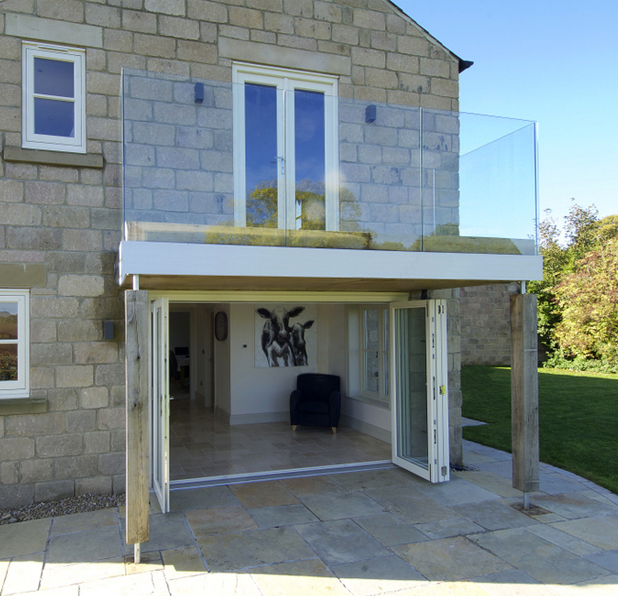 With a possible span of up to 18 metres, timber patio doors can be up to 3 metres wide per pane and have a capability of opening up a wide aperture. The pane options are two, three, four or six and despite the size of the patio doors, they are exceptionally smooth in their operation, and glide effortlessly. Available in either engineered Oak, Redwood or Meranti and hand-finished from a wide range of paints or stains. 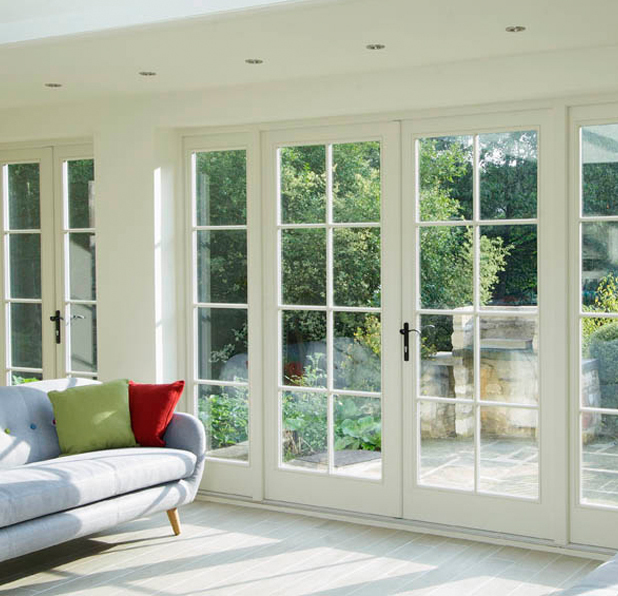 Tip* The slim, single divide found on patio doors works beautifully for homeowners looking to enjoy their garden without the intrusion of multiple mullions.